This is one of the best written article on Mahatma Gandhi’s methodology.It points out his organisational skills as a leader. He was a very simple man in his personal habits and needs.Some of his personal life he wrote about in My Experiments with Truth.I have to commend the writers of this article to be very to the point.I was lucky enough to have seen the great soul in Delhi when I was six year old but the memory is etched in my soul of a very frail looking but energetic old man who was not there for his personal gains. Now I understand why Mahatma Gandhi was a bete noire for the Rana rulers of Nepal. 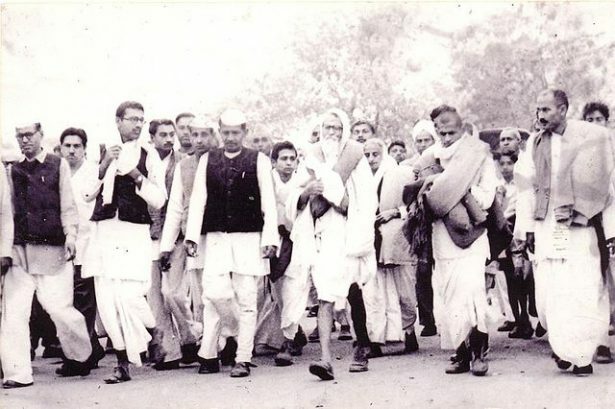 But there were people in Nepal who supported Gandhi taking him as a bridge of emancipation over the rut of oppressed and depressed life in feudal society.There were Nepali political leaders too,but their ideology of democratic socialism was in tensions with Gandhism. Nepal as a independent sovereign kingdom was in essence not against British imperialism,but because of contiguous socio-cultural links the country could not escape the effects of healthy”ecology of change ” occurring in British India .And the links between democratic Nepal after 1950 have been strengthened with Gandhi’s independent democratic republic India . But the emergence of People’s China in recent years has added a new strand of healthy ecology of change in federal democratic republic Nepal. How far will the winds of globalisation blow the future sail of Nepal is a crucial question at the moment !!!. this is a beautiful & important piece, as the book. i look forward to reading much more…..
IMHO that Non Violence is given too much credit for removing oppression. Gandhi tried it on the British colonial rulers of India for a quarter century with no result till the XTREME VIOLENCE of Hitler sapped the resolve of Britain to hang on to India. We give so much credit to MLK and the Civil Rights movement for bringing forth some racial justice here. But would either the Kennedy or LBJ admin.s given serious consideration to African Americans had the US not been confronted with propaganda losses / credibility gap in the Third World vis a vis the USSR after word about race relations in “democratic” US got out to the outside world ? This is an important piece about the three key strands of civil resistance, and how they need not and should not be at odds with each other, especially in times of crisis like the present. A question that persists is: what exactly does the constructive program mean in practice in today’s world? Thank you for this thoughtful and thorough article. I enjoyed reading it and found it to be tremendously informative, inspiring and relevant for us today. Another revolutionary aspect of Gandhi’s campaign and personal philosophy was SARVODAYA, which means “for the uplift, or welfare of all”. And for Gandhi this also included the welfare of opponents and oppressors. He held no rancour nor animosity towards others, not even his jailers or the colonizers. In fact he hoped that when the British finally quit India, they would be able to part as friends. He hoped that the British would come to see that they were better than the colonizing, imperialistic world force they had become. 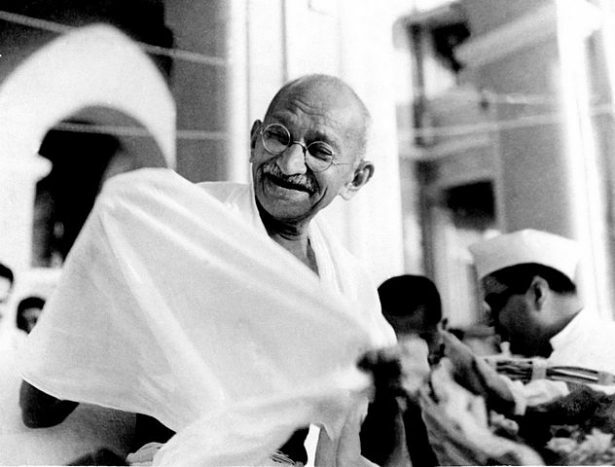 We often associate Gandhi with “nonviolence” which is how we have translated the Sanskrit word “Ahimsa”, a term which more truly reflects what Gandhi based his campaigns on. More accurately Ahimsa means “to do no harm in thought, word or deed.” Today’s nonviolent actions generally focus on doing no harm in deed and word. Including the element of “doing no harm in thought” is a tall order for we mere mortals but perhaps brings us to closer alignment with the great revolutionary visionaries such as Gandhi and Martin Luther King Jr.